Saxperience - Citroen Saxo Forum > General Forums > Have You Been Spotted? BN51 XKM --- is it still around? Have You Been Spotted? If you've seen a Saxo and would like to see if they use this community, post details in this forum. If you've seen a Saxo with Saxperience stickers... find out who it is here! This was my mates quick '01 VTR. Anyone know if it's around today? I wouldn't count on it. I watched a Grand Tour episode, and Hammond mentioned the saxo as one of his old favourite hatchbacks, then he pulled out the figures. Less than 500 VTSs left, and the episode was from 2 years ago. Rust and crashes. I rarely see even a VTR these days. True and I did watch that episode (big fan of The Grand Tour--watch every Friday S3 out now obvs). Tbf the story goes he got it stolen, as he lost touch with it when he had to go to military prison (long story) and he left it on a mates drive. So it's either been ragged and then stripped for parts or just burnt out in a field, lol! Tbf he did blow the engine up as well, lol! 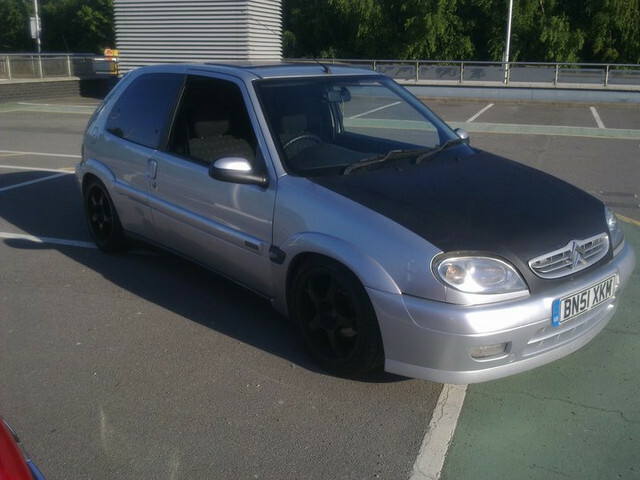 Car(s): Wickerd red VTS MK2, Two tone VTS MK2,vvc Metro.. Please do... Be interesting to know if you did. Would solve the long, lost mystery!